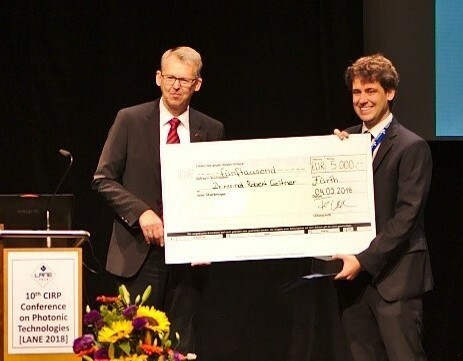 Postdoc Robert Geitner (ICC), working with a Research Fellowship from the German Research Foundation in the Weckhuysen group, received the Prize of the Wissenschaftliche Gesellschaft Laser- technik e.V. (WLT) for his contributions to the application of Raman and coherent anti-Stokes scattering microscopy. The WLT Prize is awarded annually for outstanding accomplishments in the field of applied laser research. The prize includes prize money of € 5,000.